THE GODLY MAN AND WOMAN LIVE THEIR LIVES ACCORDING TO TORAH, THE LAW OF MOSES, AND HAVE MESSIAH YESHUA FOR THEIR ATONEMENT. Our Teaching this morning will be from Psalm 119, Verses 1 through 24. AND THE TITLE OF OUR TEACHING IS, THE GODLY MAN AND WOMAN LIVE THEIR LIVES ACCORDING TO TORAH, THE LAW OF MOSES, AND HAVE MESSIAH YESHUA FOR THEIR ATONEMENT. And we will teach these verses line upon line. PSALM 119.1 BLESSED ARE THE UNDEFILED IN THE WAY WHO WALK IN THE LAW OF THE LORD. THE WORD UNDEFILED COMES FROM THE HEBREW WORD TAH’MEEM THAT MEANS, PERFECT, BLAMELESS, TRUTHFUL, NOT SINNING. THEREFORE THE JEWISH PERSON AND NON-JEWISH PERSON WHO LIVE BY TORAH, THE LAW OF MOSES, ARE BLESSED BY GOD, AND HAPPY BECAUSE THEY WALK IN THE LAW OF THE LORD WHICH IS TORAH, GOD’S LAWS THAT ARE WRITTEN IN THE LAW OF MOSES IN THE FIRST FIVE BOOKS OF THE BIBLE. LIVING BY TORAH, THE LAW OF MOSES IS THE EXAMPLE MESSIAH YESHUA LEFT US THAT WE SHOULD FOLLOW HIS STEPS WHO DID NO SIN BECAUSE HE LIVES HIS LIFE IN OBEDIENCE TO TORAH, THE LAW OF MOSES. DID YOU KNOW THAT GOD AND THE LORD ARE WRITTEN OVER 2,600 TIMES IN THE LAW OF MOSES? BUT THE UNIVERSAL CHURCH BY ABOLISHING THE LAW OF MOSES FOR ALL CHRISTIANS HAS WIPED OUT ALL GOD’S LAWS LEAVING THE CHRISTIAN LAWLESS. WHICH BRINGS TO MIND THE WORDS OF MESSIAH YESHUA, SAYING TO THOSE WHO DO NOT DO THE WILL OF GOD; THE WILL OF GOD IS OBEYING THE LAW OF MOSES. THOSE WHO DO NOT DO THE WILL OF GOD, MESSIAH SAYS, WILL NOT ENTER THE KINGDOM OF HEAVEN BECAUSE THEY DISOBEY THE LAW OF MOSES. AND MESSIAH YESHUA, WHO IS GOD ALMIGHTY, WILL SAY TO THEM, DEPART FROM ME YOU THAT WORK INIQUITY. THE GREEK WORD FOR INIQUITY IS ANOMIA, MEANING TRANSGRESSING THE LAW OF MOSES THAT HAS GOD’S LAWS WRITTEN IN IT. THEREFORE THE CHURCH TEACHES THEIR PEOPLE TO DISOBEY GOD. THEREFORE BY DISOBEYING GOD, THEY WILL NOT ENTER THE KINGDOM OF HEAVEN UNLESS THEY REPENT ACCORDING TO THE TEACHING OF GOD. YOU CAN FIND GOD’S TEACHING ON REPENTANCE IN EZEKIEL 18.20-22. PSALM 119. 2 BLESSED ARE THEY WHO KEEP HIS TESTIMONIES, AND THAT SEEK HIM WITH THE WHOLE HEART. GOD’S TESTIMONIES ARE EVERY WORD HE SPEAKS IN THE BIBLE FROM GENESIS THROUGH REVELATION. AND THOSE WHO KEEP HIS TESTIMONIES, LIVING BY EVERY WORD GOD SPEAKS IN THE BIBLE THAT INCLUDES THE LAW OF MOSES IN THE FIRST FIVE BOOKS ARE BLESSED. THOSE WHO SEEK THE LORD GOD WITH THEIR WHOLE HEART WILL FIND THE TRUTH IN THE BIBLE. THE TRUTH, IN HEBREW IS, SHEMA YISRAEL, ADONAI ELOHAYNU, ADONAY EKHUD. IF WHAT YOU ARE BEING TAUGHT BY TEACHER, BOOK, FRIEND, OR RELATIVE DOES NOT LINE UP WITH THAT SIMPLE TEACHING, TOSS THEIR FALSE TEACHING AND MOVE ON. SEEKING GOD WITH YOUR WHOLE HEART IS OBEYING EVERY WORD GOD SPEAKS IN THE BIBLE, AND KNOWING AND BELIEVING THERE IS ONLY ONE GOD. AND MESSIAH YESHUA IS THAT ONE GOD, GOD ALMIGHTY. PSALM 119.3 THEY DO NO INIQUITY. THEY WALK IN HIS WAYS. THEREFORE THE BLESSED OF GOD, AND THE UNDEFILED WALK IN THE WAYS OF GOD. THINK ON THAT FOR A MINUTE. THE WAYS OF GOD ARE WALKING IN TORAH, HIS LAWS THAT ARE WRITTEN IN THE LAW OF MOSES, AND EVERY WORD HE SPEAKS IN THE BIBLE. GOD’S WORD IS LAW. BEING HOLY IS BEING LIKE GOD. OBEYING TORAH, THE LAW OF MOSES, THE SAME LAW GOD WALKS IN THROUGHOUT ETERNITY WITHOUT BEGINNING, WITHOUT END. PSALM 119.4 YOU HAVE COMMANDED US TO KEEP YOUR PRECEPTS DILIGENTLY. GOD HAS COMMANDED US TO KEEP HIS PRECEPTS DILIGENTLY. THAT IS BEING OBEDIENT TO ALL GOD’S LAWS THAT ARE WRITTEN IN THE LAW OF MOSES. BUT THE CHURCH AND CERTAIN MESSIANIC JEWISH CONGREGATIONS DO NOT SEE GOD’S COMMANDS AS BEING IMPORTANT. BUT WITH AUDACITY AND TOTAL DISREGARD OF THE LORD GOD OF CREATION, THE CHURCH AND MANY MESSIANIC JEWISH CONGREGATIONS TEACH THAT THE LAW OF MOSES IS ABOLISHED. PSALM 119.5 O THAT MY WAYS WERE DIRECTED TO KEEP YOUR STATUTES. BETTER TRANSLATED, O THAT MY WAYS WERE FIXED AND ESTABLISHED TO KEEP YOUR LAWS. THAT IS THE WRITER’S DESIRE, THAT HIS WAYS WERE FIXED AND ESTABLISHED TO KEEP TORAH, THE LAWS OF GOD. OBEDIENCE TO GOD IS WORK WITH BLESSINGS AND JOY. AND GOD SEES US AS BEING PERFECT WHEN WE WALK IN HIS TORAH, HIS LAW OF MOSES. BUT WE DO SIN FROM TIME TO TIME. AND WE ARE TAUGHT IN THE BIBLE THAT WHEN WE SIN BY BREAKING THE LAW OF MOSES, WE CAN CONFESS OUR SINS TO GOD, FOR GOD IS FAITHFUL AND JUST TO FORGIVE US OUR SINS, AND CLEANSE US FROM ALL INIQUITY. HERE IS AN IMPORTANT TEACHING FROM THE BIBLE. 1 KINGS 8.61 READS, LET OUR HEART THEREFORE BE PERFECT WITH THE LORD OUR GOD, TO WALK IN HIS STATUTES, AND TO KEEP HIS COMMANDMENTS AS AT THIS DAY. THE WORD COMMANDMENTS COMES FROM THE HEBREW MEETZ’VOTE MEANING, COLLECTIVELY ALL GOD’S LAWS THAT ARE WRITTEN IN THE LAW OF MOSES. THEREFORE WHENEVER YOU SEE THE WORD COMMANDMENTS, THAT IS GOD’S COMMANDMENTS IN TNACH, THE OLD TESTAMENT, AND THE NEW TESTAMENT, KNOW THAT COMMANDMENTS ALWAYS MEAN COLLECTIVELY ALL GOD’S LAWS THAT ARE WRITTEN IN THE LAW OF MOSES. COMMANDMENTS DO NOT MEAN JUST THE TEN COMMANDMENTS. COMMANDMENTS MEAN ALL GOD’S LAWS WRITTEN IN THE LAW OF MOSES. IN HEBREW, THE TEN COMMANDMENTS ARE AH’SEH’REHT HAHD’VAH’REEM, THE TEN WORDS. PSALM 119.6 THEN SHALL I NOT BE ASHAMED WHEN I HAVE RESPECT TO ALL YOUR COMMANDMENTS. YOU SHOULD NEVER BE ASHAMED TO KEEP ALL GOD’S COMMANDMENTS. YOU SHOULD NEVER BE ASHAMED TO OBEY GOD’S LAW OF MOSES. BECAUSE YOU SERVE THE LORD YOUR GOD AND IT IS HE, AND NO ONE ELSE WHO GAVE HIS LIFE FOR YOU AS A HUMAN BEING IN THE PERSON OF MESSIAH YESHUA FOR YOUR ATONEMENT THAT LEADS TO ETERNAL LIFE. PSALM 119.7. I WILL PRAISE YOU WITH UPRIGHTNESS OF HEART WHEN I SHALL HAVE LEARNED YOUR RIGHTEOUS JUDGMENTS. WHEN YOU LIVE BY TORAH, THE LAW OF MOSES, YOU WILL PRAISE THE LORD YOUR GOD WITH UPRIGHTNESS OF HEART BECAUSE YOU HAVE LEARNED GOD’S RIGHTEOUS JUDGMENTS WITH JOY AND THANKSGIVING. GOD’S RIGHTEOUS JUDGMENTS ARE YOUR VERDICTS AND DECISIONS THAT ARE ACCORDING TO HIS LAWS WRITTEN IN THE LAW OF MOSES. PSALM 119.8 I WILL KEEP YOUR STATUTES. O FORSAKE ME NOT UTTERLY. WHEN YOU LIVE BY GOD’S STATUTES, GOD’S LAWS WRITTEN IN THE LAW OF MOSES, THE LORD YOUR GOD WILL NEVER FORSAKE YOU, OR YOUR FAMILY. PSALM 119.9 HOW SHALL A YOUNG MAN CLEANSE HIS WAY? BY TAKING HEED ACCORDING TO YOUR WORD. THE YOUNG AND OLD AND ALL IN BETWEEN CLEANSE THEIR WAY BY LIVING ACCORDING TO EVERY WORD GOD SPEAKS IN THE BIBLE. THE HEBREW WORD FOR WORD, AS IN THE WORD OF GOD, IS DAH’VAHR THAT MEANS, AMONG OTHER THINGS, DECREE. A DECREE, AS YOU KNOW, IS A FORMAL ORDER THAT HAS THE FORCE OF LAW. EVERY SPOKEN WORD OF GOD WRITTEN IN THE LAW OF MOSES, AND THROUGHOUT THE BIBLE ARE DECREES, HAVING THE FORCE OF LAW. PSALM 119.10 WITH MY WHOLE HEART HAVE I SOUGHT THEE. O LET ME NOT WANDER FROM YOUR COMMANDMENTS. THE GODLY PERSON AGREES WITH AND DOES EVERY WORD OF PSALM 119. YOU SEEK THE LORD WITH YOUR WHOLE HEART. YOU LEARN HIS WORD AND LIVE BY GOD’S WAYS. AND YOU DO YOUR BEST NOT TO WANDER FROM THE COMMANDMENTS OF GOD. PSALM 119.11 YOUR WORD HAVE I HID IN MY HEART THAT I WILL NOT SIN AGAINST YOU. THE FOUNDATIONAL TEACHING OF GOD IS OBEDIENCE TO GOD, OBEDIENCE TO HIS TORAH, THE LAW OF MOSES, AND EVERY WORD GOD SPEAKS IN THE BIBLE. SO READ THE BIBLE, STUDY IT, AND OBEY AND DO EVERY WORD GOD SPEAKS. AND HIDE HIS WORD IN YOUR HEART SO THAT YOU WILL NOT SIN AGAINST THE LORD YOUR GOD. THAT IS PERFECTION IN THE SIGHT OF GOD. AND WITH MESSIAH YESHUA, GOD WILL GIVE YOU A GOOD, SUCCESSFUL, AND HEALTHY LIFE ON EARTH, AND ETERNAL LIFE IN HEAVEN. AND THAT IS THE GOSPEL. PSALM 119.12 BLESSED ART THOU O LORD, TEACH ME YOUR STATUTES. WHEN YOU SET YOUR HEART TO LIVE BY GOD’S STATUTES, HIS LAWS, TEACHINGS, AND INSTRUCTIONS THAT ARE WRITTEN IN THE LAW OF MOSES, YOU WILL BLESS THE LORD IN TRUTHFULNESS AND JOY. PSALM 119.13 WITH MY LIPS HAVE I DECLARED ALL THE JUDGMENTS OF THY MOUTH. THAT IS THE CHILD OF GOD, THE TRUE WITNESS OF GOD. YOU DECLARE WITH YOUR LIPS ALL GOD’S JUDGMENTS, ALL HIS LAWS WRITTEN IN TORAH, THE LAW OF MOSES. MANY WILL REJECT YOUR WORDS, BUT GOD WILL BLESS YOU, THE UNDEFILED BECAUSE YOU WALK IN THE LAW OF THE LORD. PSALM 119.14 I HAVE REJOICED IN THE WAY OF YOUR TESTIMONIES AS MUCH AS IN ALL RICHES. RICHES ARE FINE, BUT DO NOT GIVE ETERNAL LIFE. OBEDIENCE TO GOD’S WORD, AND HIS LAWS WRITTEN IN THE LAW OF MOSES IS GREATER THAN ALL RICHES, HAVING GOD’S PROMISE OF ETERNAL LIFE IN HEAVEN. PSALM 119.15 I WILL MEDITATE IN YOUR PRECEPTS AND HAVE RESPECT TO YOUR WAYS. THE CHILD OF GOD IS BOUND IN THE BUNDLE OF LIFE WITH THE LORD THEIR GOD ALWAYS THINKING ON GOD’S WORD, AND DOING AS GOD SAYS. PSALM 119.16 I WILL DELIGHT MYSELF IN YOUR STATUTES. I WILL NOT FORGET YOUR WORD. ALTHOUGH MANY WILL FOOLISHLY SAY THAT WE WHO LIVE BY THE LAW OF MOSES ARE LEGALISTS. BUT RATHER, WE DELIGHT OURSELVES IN GOD’S STATUTES, AND WILL NOT FORGET HIS WORD. WE OBEY GOD, NOT MAN. PSALM 119.17 DEAL BOUNTIFULLY WITH YOUR SERVANT THAT I MAY LIVE AND KEEP YOUR WORD. WE HAVE GREAT HOPE IN GOD BECAUSE WE SERVE THE LORD OUR GOD BY OBEYING TORAH, THE LAW OF MOSES. AND WE KNOW THAT GOD WILL DEAL BOUNTIFULLY WITH US. HE WILL TREAT US WELL, AND SHOW US GOOD IN A ROUGH AND TUMBLE WORLD. PSALM 119.18 OPEN THOU MINE EYES THAT I MAY BEHOLD WONDROUS THINGS OUT OF YOUR LAW. PSALM 119.19 I AM A STRANGER IN THE EARTH. HIDE NOT YOUR COMMANDMENTS FROM ME. IT’S TRUE, WE ARE STRANGERS ON THIS EARTH FOR OBEYING GOD, AND KEEPING HIS COMMANDMENTS. BUT WE ARE ALSO PART OF THE FEW OF WHOM MESSIAH SAYS, MANY ARE CALLED, BUT FEW ARE CHOSEN. THE FEW WHO SPEND ETERNITY WITH GOD IN HEAVEN. PSALM 119.20 MY SOUL BREAKS FOR THE LONGING THAT IT HAS TO YOUR JUDGMENTS AT ALL TIMES. THE CHILD OF GOD YEARNS TO PLEASE GOD AT ALL TIMES BY OBEYING HIM. IT IS JOY TO OUR HEART BECAUSE WE PLEASE GOD, AND DO RIGHT. PSALM 119.21 YOU HAVE REBUKED THE PROUD THAT ARE CURSED WHICH DO ERR FROM YOUR COMMANDMENTS. OBEY GOD RATHER THAN THE FALSE BIBLE TEACHERS. PSALM 119.22 REMOVE FROM ME REPROACH AND CONTEMPT, FOR I HAVE KEPT YOUR PRECEPTS. PSALM 119.23 PRINCES ALSO DID SIT AND SPEAK AGAINST ME. BUT YOUR SERVANT DID MEDITATE IN YOUR STATUTES. YES, PEOPLE IN HIGH PLACES SIT AND SPEAK AGAINST US FOR OBEYING GOD AND HIS TORAH, THE LAW OF MOSES. BUT WE WILL CONTINUE TO MEDITATE ON GOD’S STATUTES AND DO WHAT IS WRITTEN IN HIS LAW. PSALM 119.24 YOUR TESTIMONIES ALSO ARE MY DELIGHT AND MY COUNSELORS. YES, AND ALSO GOD’S TESTIMONIES, HIS WORDS SPOKEN IN THE BIBLE ARE OUR DELIGHT AND OUR COUNSELORS THAT ADVISE US AND DIRECT OUR STEPS THROUGHOUT LIFE. HOW FORTUNATE YOU ARE WHEN YOU OBEY GOD. YOU ARE BLESSED AND UNDEFILED IN THE WAY WHEN YOU WALK IN THE LAW OF THE LORD. Posted on December 30, 2018 January 1, 2019 Categories UncategorizedLeave a comment on THE GODLY MAN AND WOMAN LIVE THEIR LIVES ACCORDING TO TORAH, THE LAW OF MOSES, AND HAVE MESSIAH YESHUA FOR THEIR ATONEMENT. THE FUTURE KING OF ISRAEL IS THE JEWISH MESSIAH YESHUA, THE LORD GOD ALMIGHTY, HA SHEM ELOHIM. Our Teaching from Torah, The Law of Moses continues in Deuteronomy 17.14-20. AND THE TITLE OF OUR MESSAGE IS, THE FUTURE KING OF ISRAEL IS THE JEWISH MESSIAH YESHUA, THE LORD GOD ALMIGHTY, HA SHEM ELOHIM. And with that said, let’s read Deuteronomy 17.14-20. A little over 3,000 years ago, The Children of Israel, today The Jewish People, asked The Prophet Samuel for a king to judge them like all the nations. But the request upset Samuel because he knew that GOD alone is the sole King of Israel and The Jewish People. The first King of Israel whom GOD chose was Saul, followed by David and Solomon who were both chosen By GOD to reign in Israel. After the division of Israel in the days immediately following King Solomon’s death, some 35 kings, including Saul, David, and Solomon have reigned in Israel, and in the northern kingdom of Israel, and in the southern kingdom of Judah. The last kings were Jehoichin and Zedekiah. And they reigned in the southern kingdom of Judah at the time The LORD GOD exiled The Jewish People to Babylon in 586 B.C.E./B.C. for seventy years because of their sins against The LORD their GOD. There have been no kings since in Israel. Today, elected Prime Ministers rule in The Land of Israel. The King that this Message will be focused on is The King Who will Reign in The Messianic Kingdom in Israel, or as some Jewish People call it, The Kingdom of GOD on earth, or as Christianity calls it, The One Thousand Year Millennium. AND THAT KING WHO WILL REIGN IN THE FUTURE MESSIANIC KINGDOM ON EARTH IN ISRAEL FOR 1,000 YEARS IS THE JEWISH MESSIAH YESHUA, GOD ALMIGHTY, THE GOD OF ISRAEL, HA SHEM ELOHIM. And in this teaching, GOD lays out the rules for The Kings of Israel, even The future King of Israel, Messiah Yeshua Who is GOD Himself Who will rule in The 1,000 year Messianic Kingdom on earth in Israel, The Everlasting Possession of The Jewish People. The name Israel was first given to Jacob after he wrestled with GOD from evening to morning at a crossing near a brook in Canaan. And GOD said to Jacob, Your name shall not be called Jacob any more but Israel, for as a Prince you have power with GOD and with men and have prevailed. After GOD exiled The Jewish People from Israel in 70 C.E./A.D. to the four corners of the earth, many nations occupied Israel, such as Assyria, Babylon, Persia, which is current day Iran, Greece, Rome, the Byzantines of the eastern Roman Empire, The Islamic Arabs, The Christian Crusaders, the Muslim Mamelukes, The Ottoman Turks, and finally the British from 1917 to 1948. Yet there has always been a Jewish presence in Israel for 3,400 years to this day. When millions of Jewish People returned to Israel from the European Nazi death camps after World War 2, The United Nations voted to divide Palestine, a name given to Israel by the Romans in 135 C.E./A.D. Palestine became a much smaller country than The GOD given borders of Israel from a river in Egypt to The Euphrates River. Much of The GOD Given Land of Israel is currently occupied by Syria, Jordan, Iraq, Lebanon, Egypt, and the Palestinian Arabs. And in 1948, Israel again became a sovereign Country of The Jewish People. But The Jewish People must continue to fight for its existence, and freedom, and sovereignty as many of the same conquering nations seek to destroy The Jewish People and occupy their Land. That will never happen because The GOD of Israel and The Jewish People will not let it happen. And Messiah Yeshua is The GOD of Israel. And GOD will restore The GOD Given Borders of Israel to The Jewish People when The LORD GOD ALMIGHTY, THE JEWISH KING, MESSIAH YESHUA RETURNS to establish His Messianic Kingdom in Israel from a river in Egypt to the Euphrates River. DEUTERONOMY 17.15 THE KING OF ISRAEL MUST BE JEWISH. A STRANGER, A NON JEWISH PERSON, CAN NEVER BE KING OF ISRAEL. IT IS WRITTEN IN TORAH, THE LAW OF MOSES. AND THAT KING WHO WILL REIGN OVER ISRAEL AND THE WORLD IN THE FUTURE MESSIANIC KINGDOM ON EARTH IN ISRAEL WILL BE YESHUA HA MASHIAKH, THE JEWISH MESSIAH YESHUA, GOD ALMIGHTY, THE GOD OF ISRAEL, AND THE KING OF ISRAEL. DEUTERONOMY 17.16-17 The Jewish Kings of Israel are Commanded by GOD not to multiply horses to themselves, nor cause The People to return to Egypt. Nor shall he multiply wives to himself that his heart does not turn away from The LORD His GOD, nor shall he greatly multiply to himself gold and silver. The Bible says that The LORD GOD, Messiah Yeshua will return and set up His Messianic Kingdom in Israel after the great tribulation. For Messiah says, For then shall there be great tribulation such as was not since the beginning of the world to this time, no, nor ever shall be. LISTEN TO THESE VERY IMPORTANT WORDS. Those who will enter The Messianic Kingdom, The 1,000 year millennium with Messiah Yeshua Reigning over it, followed by Eternal Life in Heaven will be His Chosen and Elect. Those people who followed The Gospel of GOD. The Gospel of GOD is living your life according to every Word that Proceeds out of The Mouth of GOD written in The Bible, that includes The Law of Moses. Believing in One GOD Who is Messiah Yeshua. And having Messiah Yeshua for your Atonement, the forgiveness of all your sins. Those are GOD’S Elect and Chosen who will be with GOD in The Messianic Kingdom in Israel, who inherit Eternal Life in Heaven. The disobedient to GOD, the disobedient to His Word, the disobedient to His Law of Moses, and the disobedient to His Prophets will not be there. THAT IS THE GOSPEL OF THE KINGDOM THAT WILL BE PREACHED TO ALL THE WORLD FOR A WITNESS TO ALL NATIONS. OBEDIENCE TO EVERY WORD GOD SPEAKS IN THE BIBLE INCLUDING THE LAW OF MOSES. BELIEF IN ONE GOD, AND MESSIAH YESHUA IS THAT ONE GOD, AND YOUR ATONEMENT. THAT IS THE GOSPEL OF GOD FOR A GOOD LIFE ON EARTH WITH HEALTH, SUCCESS, AND ETERNAL LIFE IN HEAVEN. Also those who will Join The LORD and His Chosen and Elect in The Messianic Kingdom, and in Heaven are the Gentiles who have blessed The Jewish People and Israel. And The Messianic Kingdom in Israel will be like The Garden of Eden. ISAIAH 51.1, THOSE WHO FOLLOW AFTER RIGHTEOUSNESS LIVE BY TORAH, THE LAW OF MOSES, AND HAVE MESSIAH YESHUA FOR THEIR ATONEMENT, THE FORGIVENESS OF ALL YOUR SINS. I was told recently by a person who has been a Christian for many years that Jesus supplanted The Old Covenant. Meaning that Jesus replaced and got rid of The Old Testament that contains The Law of Moses that has GOD’S Laws, Teachings, and Instructions Written in it. And that Jesus got rid of The Prophets and The Writings such as The Psalms and Proverbs. The jesus of the church who abolished The Law of Moses for Christianity is another jesus whom Paul and the other New Testament Writers and all the Writers of The Bible never taught. And this person also said that Judaism is a stumbling block. I guess a stumbling block to salvation, or a stumbling block to Jesus, or a stumbling block to eternal life in Heaven. Besides making an anti-Semitic statement, that is so untrue. GOD Spoke His Word to The Jewish People in The Old and New Testaments. And Jewish People recorded GOD’S Spoken Word in Hebrew from Genesis through Revelation for all the world to know and believe GOD. And that The Jewish Messiah Yeshua Who is GOD ALMIGHTY THE FATHER gave His Life as a Human Being to be your Atonement. The New Testament was translated from the original Hebrew to Greek to other languages. THE LAW OF MOSES IS FROM GOD. GOD does not have one Law for The Jewish People, and no Law for Christianity. GOD only has One Law for all the world, and that Law is The Law of Moses. THE JESUS OF THE BIBLE SAYS, IT IS EASIER FOR HEAVEN AND EARTH TO PASS THAN ONE TITTLE OF THE LAW TO FAIL. MEANING, NOT ONE DOT, NOT ONE STROKE, NOT ONE LETTER, NOT ONE WORD OF THE LAW OF MOSES WILL EVER CHANGE, OR END, OR DISAPPEAR. Judaism is certainly not a stumbling block. But Christian doctrine is a stumbling block for Salvation because Christian doctrine teaches that GOD’S Word Written in The Law of Moses is abolished by another jesus. And Christian doctrine teaches a trinity of three different gods. There is no such thing as a trinity of three different gods in The Bible. The trinity jesus is not The Jesus of The Bible but another jesus, and not GOD ALMIGHTY but some other god who has supplanted The Old Testament in the doctrine of Christianity. The jesus who supplanted The Old Testament for Christianity is an anti GOD, an anti Christ. That type of teaching destroys the entire Word of GOD for Christians. It is hateful and disrespectful to GOD. Paul and the other New Testament writers taught Torah, The Law of Moses. ROMANS 7.1, ROMANS 8.7, Etc. MATTHEW 8.22 Following Messiah Yeshua, Who never sinned because He lived His Life according to Torah, The Law of Moses, is living your life according to GOD’S Laws that are written in The Law of Moses. For sin is transgressing The Law of Moses. And let the dead, who are spiritually dead because they reject The Law of Moses, bury the dead. DEUTERONOMY 17.18-19 Messiah Yeshua, The future King of Israel will rule His Kingdom in Israel and throughout the world according to Torah, The Law of Moses. The same Law that Christianity has abolished to their great hurt. Messiah Yeshua says, If you love Me, Keep My Commandments. GOD’S Commandments are more than The Ten Commandments. GOD’S Commandments are His Laws written in The Law of Moses. GOD also says, Know therefore that The LORD your GOD is a Faithful GOD Who keeps Covenant, His Word and His Law, and Mercy, with them that love Him, and Keep His Commandments to a thousand generations. That is forever. And repays them that hate Him to their face, to destroy them. He will not be slack to him who hates Him. He will repay them to his face. Yeshua The Messiah, Who is GOD ALMIGHTY, THE FATHER, The future King of Israel says, If you love Me, Keep My Commandments, all GOD’S Laws that are written in The Law of Moses. WHILE IN DEUTERONOMY 7.9-10, GOD ADDRESSES THOSE WHO HATE GOD. DEUTERONOMY 17.19-20 Since The Kings of Israel, and the future King of Israel, The Messiah Yeshua are Commanded by GOD to obey and live by The Commandments of GOD, GOD’S Laws written in The Law of Moses, I say then that the false Bible teachers who teach out of a Bible of Truth but turn it into a book of lies by teaching that The Law of Moses is abolished, and teach a trinity of three different gods should reconsider their very, very low position with GOD. And they should start teaching The Truth to their church that The Law of Moses must, without question be obeyed. And they must teach that there is only One GOD. And Messiah Yeshua, The Jesus of The Bible is that One GOD, The GOD of Israel before it is too late for them and their congregants. Posted on December 23, 2018 January 2, 2019 Categories UncategorizedLeave a comment on THE FUTURE KING OF ISRAEL IS THE JEWISH MESSIAH YESHUA, THE LORD GOD ALMIGHTY, HA SHEM ELOHIM. Our Teaching this morning from Torah, The Law of Moses will continue from Deuteronomy 17.8-13. AND THE TITLE OF OUR MESSAGE IS, THE GOSPEL IS WRITTEN IN TORAH, THE LAW OF MOSES. And with that said, Let’s read Deuteronomy 17.8-13. The Bible says, If a legal matter of judgment arises that is too difficult for you to judge concerning bloodshed, or a final sentence, or personal injury, matters of controversy within your cities, The LORD says, You shall then go to The Place that The LORD Your GOD shall choose. The Place that The LORD GOD chose was first The Tabernacle, and following The Tabernacle were the first and second Temples in Jerusalem. And then, The LORD says, you shall go to The Priests, The Levites, and to the Judge that shall be in those days, and inquire. And they will show you the sentence of the judgment. And you shall do according to their word. And you shall do according to all that they tell you. And their sentence will be according to Torah, The Law of Moses which they will teach you, and according to the judgment which they will tell you. That you shall do. And you shall not turn aside from the sentence in which they tell you, to the right hand, nor to the left. And the man who acts with pride so as to sin by disobeying Torah, The Law of Moses, not obeying The Priest who is standing there to serve before The LORD Your GOD, or to the Judge, that man shall die, and you shall put away the evil from Israel. And all The People shall hear and obey and fear GOD, and will no longer knowingly sin against GOD by disobeying His Laws that are Written in The Law of Moses. If you were to do a careful Bible Study of all The GODLY men and women in The Bible, you would see that they lived their lives according to Torah, The Law of Moses. From Enoch to Noah to Abraham, Isaac, Jacob, Moses, Miriam, the sister of Moses, David, The Prophets, Yeshua /Jesus The Messiah, Messiah’s Disciples and Apostles, Miriam, Messiah’s mother in the flesh, Paul, James, Jude, etc., they all lived according to Torah, GOD’S Laws, Teachings, and Instructions that are Written in The Law of Moses. 1 PETER 2.22 SIN IS BREAKING THE LAW OF MOSES. MESSIAH DID NOT SIN BECAUSE HE LIVED BY THE LAW OF MOSES. There is not one GODLY Person in The Bible who rejected or abolished The Law of Moses. No not one. Yes, from time to time they messed up, and slipped, but they confessed their sin of breaking The Law of Moses, and returned to GOD by obeying His His Torah, The Law of Moses. And when we sin, and confess our sin to GOD, The LORD will always forgive us. But the ungodly people in The Bible all rejected Torah, GOD’S Laws that are written in The Law of Moses. THAT LEADS US TO THE TITLE OF OUR MESSAGE, THE GOSPEL IS WRITTEN IN TORAH, THE LAW OF MOSES. You probably know that the word Gospel means GOOD NEWS. The Bible teaches in The New Testament that The Gospel is The Good News of The Kingdom, The Good News, or The Gospel of Messiah Yeshua, The Gospel of The Grace of GOD, The Gospel of GOD, The Gospel of Peace, The Gospel is Hidden, The Gospel is to the uncircumcision and the circumcision, The Mystery of The Gospel, The Truth of The Gospel, The Gospel was preached before to Abraham, The beginning of The Gospel, The Hope of The Gospel, and The Everlasting Gospel. The Gospel of The Kingdom can be about GOD Himself, or about Heaven and earth, and the entire universe that has no beginning or end. No one can know or explain GOD to perfection because GOD says that the secret things belong to The LORD our GOD, but those things that are revealed belong to us and to our children forever, that we should do all The Words of The Torah, The Law of Moses. The Gospel, or The Good News of The Kingdom contains all the wonderful blessings we receive from GOD when we obey His Laws, Commandments, Teachings, and Instructions that are Written in The Law of Moses from Genesis through Deuteronomy. THEREFORE THE GOSPEL OF THE KINGDOM IS TAUGHT IN TORAH, THE LAW OF MOSES. THE GOSPEL OF MESSIAH YESHUA/JESUS IS FIRST TAUGHT IN TORAH, THE LAW OF MOSES. THIS IS IMPORTANT TO KNOW. ONE OF THE HEBREW NAMES FOR GOD ALMIGHTY IS ELOHIM. ELOHIM IN HEBREW MEANS GODS. YET THERE IS ONLY ONE GOD, GOD ALMIGHTY WHO IS THE FATHER, THE MESSIAH, THE SON OF GOD, THE SPIRIT, THE HOLY SPIRIT, AND SO MUCH MORE. ALL ARE THE SAME GOD. MESSIAH YESHUA IS ELOHIM, GOD ALMIGHTY THE FATHER. THE TORAH, THE LAW OF MOSES FIRST INTRODUCES YESHUA THE MESSIAH IN GENESIS 1.1 WHEN GOD (ELOHIM) SAID, IN THE BEGINNING ELOHIM CREATED THE HEAVENS AND THE EARTH. AND ELOHIM IS WRITTEN SOME 799 TIMES IN TORAH. AND GOD SAID IN TORAH, THE LAW OF MOSES CONCERNING THE FUTURE MESSIAH, THE LORD YOUR GOD (ELOHIM) WILL RAISE THEM UP A PROPHET FROM AMONG THEIR BRETHREN LIKE YOU MOSES. AND I WILL PUT MY WORDS IN HIS MOUTH AND HE SHALL SPEAK TO THE PEOPLE ALL THAT I SHALL COMMAND HIM. AND WHOSOEVER WILL NOT OBEY MY WORD WHICH HE SHALL SPEAK IN MY NAME, I WILL CALL HIM TO ACCOUNT. THEREFORE THE GOSPEL OF MESSIAH YESHUA IS FIRST TAUGHT IN TORAH, THE LAW OF MOSES. THE GOSPEL OF THE GRACE OF GOD IS FIRST TAUGHT IN TORAH, THE LAW OF MOSES WHEN GOD CHOSE NOAH AND HIS FAMILY FOR DELIVERANCE FROM THE FLOOD. EIGHT PEOPLE IN TOTAL FROM THE MILLIONS OR BILLIONS OF PEOPLE ON THE EARTH IN THEIR DAY WHOM GOD DELIVERED FROM DEATH. THAT IS THE GRACE OF GOD. THAT IS GOD’S GRACE THAT SAVED THEM. NOAH DID NOTHING TO EARN THE LORD’S GRACE. NOR DID ABRAHAM AND THE JEWISH PEOPLE DO ANYTHING TO EARN GOD’S FAVOR WHEN GOD CHOSE ABRAHAM AND HIS JEWISH DESCENDANTS TO BE GOD’S CHOSEN PEOPLE WHOSE SPECIAL MINISTRY IS TO BE GOD’S SERVANT AND WITNESSES TO WRITE THE BIBLE FROM GENESIS THROUGH REVELATION FOR THE WORLD TO KNOW AND BELIEVE GOD, AND UNDERSTAND THAT THERE IS ONLY ONE GOD. DEUTERONOMY 7.6-15 THESE WORDS ALSO APPLY TO NON JEWISH PEOPLE WHO OBEY AND KEEP THE COMMANDMENTS OF GOD, ALL GOD’S LAWS THAT ARE WRITTEN IN TORAH, THE LAW OF MOSES. THAT IS THE GOSPEL OF GOD’S GRACE. KNOWING GOD, AND FOLLOWING GOD IS IMPOSSIBLE IF YOU DO NOT LIVE BY GOD’S LAW OF MOSES. NOT HAVING THE LAW OF MOSES IN YOUR HEART IS NOT KNOWING GOD, NOT DOING THE WILL OF GOD, AND NOT KNOWING WHAT GOD REQUIRES OF YOU TO LEAD A GODLY LIFE PLEASING TO GOD. DEUTERONOMY 7.9-10 THE WILL OF GOD IS TO LOVE GOD AND KEEP HIS COMMANDMENTS, ALL HIS LAWS WRITTEN IN TORAH, THE LAW OF MOSES. SHEMA YISRAEL ADONAY ELOHEYNU ADONAY EHKHAD. MEANING, HEAR AND OBEY O ISRAEL EVERY WORD THAT GOD SPEAKS IN THE BIBLE. AND THERE IS ONLY ONE GOD. GOD’S PEACE IS FIRST TAUGHT IN TORAH, THE LAW OF MOSES. THOSE WORDS ARE FOR ALL WHO LIVE BY THE LAW OF MOSES. HIDING THE GOSPEL, THE GOOD NEWS OF GOD, IS ACCOMPLISHED BY GOD HIDING HIMSELF. THAT IS TAUGHT BY MOSES IN TORAH, THE LAW OF MOSES. YET THE LORD HAS NOT GIVEN YOU A HEART TO UNDERSTAND, AND EYES TO SEE, AND EARS TO HEAR TO THIS DAY. GOD TEACHES THE TRUTH OF THE GOSPEL EARLY IN THE CREATION IN TORAH, THE LAW OF MOSES. EVERYONE KNOWS THE STORY. IN THE GARDEN OF EDEN. GOD COMMANDED ADAM NOT TO EAT OF THE FRUIT OF A CERTAIN TREE, FOR GOD SAID, IN THE DAY THAT YOU EAT OF IT YOU WILL SURELY DIE. BUT LATER, SATAN SAID TO EVE, YOU WILL NOT SURELY DIE IF YOU DISOBEY GOD BECAUSE YOU WILL BE LIKE GOD KNOWING GOOD AND EVIL. GOD TEACHES IN THE LAW OF MOSES IN THE VERY BEGINNING OF THE CREATION THAT OBEYING GOD IS ETERNAL LIFE. GOD CREATED ADAM AND EVE TO LIVE FOREVER UNTIL THEY SINNED AGAINST GOD BY DISOBEYING HIM. DISOBEYING GOD IS DEATH. ADAM AND EVE LISTENED TO satan RATHER THAN OBEYING GOD. AND THEY DIED. DISOBEYING THE LAW OF MOSES IS DISOBEYING GOD. THAT IS THE TRUTH OF THE GOSPEL TAUGHT IN THE LAW OF MOSES. BUT OBEYING GOD BY OBEYING HIS TORAH, HIS LAW OF MOSES WITH MESSIAH YESHUA IS ETERNAL LIFE IN HEAVEN. THE NATIONS ARE BLESSED IN ABRAHAM AND THE JEWISH PEOPLE BECAUSE THE JEWISH PEOPLE BROUGHT THE BIBLE TO THE NATIONS THAT CONTAINS THE WORD OF GOD, THE TRUTH OF GOD, AND THE LAWS, COMMANDMENTS AND TEACHINGS OF GOD FOR ALL PEOPLES TO HAVE A GOOD, HEALTHY, AND SUCCESSFUL LIFE ON EARTH, AND ETERNAL LIFE IN HEAVEN, WHEN OBEYED. AND THE NATIONS ARE BLESSED IN THE JEWISH PEOPLE BECAUSE THE JEWISH PEOPLE BROUGHT THE MESSIAH YESHUA /JESUS TO THE NATIONS FOR THE FORGIVENESS OF THEIR SINS, AND SALVATION, CONDITIONAL UPON THEIR OBEDIENCE TO GOD AND HIS LAWS WRITTEN IN THE LAW OF MOSES. SO YES, THE GOSPEL WAS PREACHED BEFORE TO ABRAHAM. GOD HAS SHUT THE EYES, AND HID HIMSELF FROM MANY PEOPLE TO THE TRUTH OF THE GOSPEL. THE CHURCH AND MANY MESSIANIC JEWISH CONGREGATIONS CHOOSE TO TEACH THAT THE LAW OF MOSES IS ABOLISHED, MAKING THE GOSPEL A MYSTERY TO THE CHURCH AND MANY MESSIANIC JEWISH CONGREGATIONS. AND MAINSTREAM JUDAISM HAS THEIR EYES SHUT, NOT SEEING THAT YESHUA THE MESSIAH IS GOD ALMIGHTY, HA SHEM ELOHIM, THE JEWISH MESSIAH. AND THEIR ATONEMENT FOR ALL THEIR SINS. THEREFORE THE GOSPEL IS A MYSTERY. I REFER BACK TO THE EVENT OF GOD, satan, AND ADAM AND EVE IN THE GARDEN OF EDEN IN GENESIS CHAPTERS 2 AND 3. THOSE TWO CHAPTERS GIVE THE HOPE OF THE GOSPEL. OBEYING TORAH, THE LAW OF MOSES, AND HAVING MESSIAH YESHUA FOR YOUR ATONEMENT IS ETERNAL LIFE IN HEAVEN. THEREFORE THE EVERLASTING GOSPEL IS TAUGHT IN THE LAW OF MOSES. THE GOSPEL THAT IS FIRST TAUGHT IN TORAH, THE LAW OF MOSES IS FOR BOTH NON JEWS, AND JEWISH PEOPLE. AND THAT INCLUDES LIVING YOUR LIFE ACCORDING TO THE LAW OF MOSES, THAT WHEN OBEYED IS FOR YOU THE GOOD NEWS OF GOD. SO IN CONCLUSION, NOT ONLY IS THE GOSPEL WRITTEN IN THE TORAH, THE LAW OF MOSES, BUT WHEN TAUGHT, THE GOSPEL MUST INCLUDE THE LAW OF MOSES TO BE TRUTH. Thus, let us prepare our hearts for The Passover Seder, The Order of Service. Tradition teaches that in each generation, we must consider ourselves as having personally been freed from Egypt by The LORD our GOD from 400 years of Egyptian slavery. Haggadah means “Telling” The Telling of The Passover Story. The LORD Commands us; “And you shall tell your children in that day, saying, this is done because of that which The LORD did unto me when I came out of Egypt,” Exodus 13.8. The Story of Passover is a Story of Miracles. From despair to hope, from darkness to light, from slavery to freedom. Passover’s greatness is the greatness of The LORD our GOD. Its timelessness comes from The LORD GOD, The Eternal Truth, and His unbroken love for His people. And as GOD cared for The Children of Israel in those days, He cares for all who are His today. The LORD had promised to give to Abraham, Isaac and Jacob and their descendants after them, The Jewish People, The Land of Israel for an Everlasting Possession. But yet, their descendants were in Egypt, having become a mighty nation, but under the yoke of Egyptian slavery. And the King of Egypt feared them, thinking they will join with the enemies of Egypt and fight against them. So the King of Egypt set out to eliminate The Children of Israel by killing the newborn Hebrew male children while letting the newborn baby girls live. But The Hebrew midwives who had the charge to carry out the slaughter, feared GOD, and disobeyed the King’s command. However Pharaoh still commanded the Egyptians to kill every Hebrew newborn male child by throwing them in the Nile. But that attempt also failed to destroy Israel. And The Children of Israel multiplied and increased greatly. So the King set taskmasters over The Children of Israel to afflict them with heavy burdens. And the Egyptians made The Children of Israel to serve with rigor. He made their lives bitter with hard slavery in mortar and brick and in all manner of work in the field. Because of the command to kill all The Hebrew newborn boys, an Israelite couple hid their little boy for three months, entrusting his future to The LORD their GOD. Then they set him in a basket and placed him upon a river and his sister Miriam watched him as he floated downstream. Coming upon the basket, Pharaoh’s daughter took pity on the child and said, This is one of The Hebrew’s Children. Then his sister Miriam said to Pharaoh’s daughter, Shall I go and get you a Hebrew nurse to nurse the child for you? And she replied, Yes. And miraculously, GOD had Moses’ mother nurse the child til he grew. And Pharaoh’s daughter paid her wages to nurse him. And the child grew and his mother brought him to Pharaoh’s daughter, and he became her son, and she called his name Moses, meaning, I drew him out of the water. Moses grew and became aware of the travail of his people. One day in a rage, he killed an Egyptian who was beating a Hebrew slave, one of his brethren. Now when Pharaoh heard this thing, he sought to kill Moses. But Moses fled from the face of Pharaoh and dwelt in the land of Midian marrying Zipporah who bore him two sons. And it came to pass that the King of Egypt died. But The Children of Israel groaned under their heavy yoke of slavery, and they cried out, and their cry for deliverance came up to GOD. And GOD remembered His Covenant with Abraham, Isaac and Jacob. It was then that The Angel of The LORD appeared to Moses in the midst of a bush that burned with fire. And though the bush burned with fire, it was not consumed. THE ANGEL OF THE LORD was YESHUA HA MASHIAKH, GOD ALMIGHTY Who appeared to Moses in the burning bush. And The LORD said to Moses, I have surely seen the affliction of My People which are in Egypt, and have heard their cry by reason of their taskmasters, for I know their sorrows. And I am come down to deliver them out of the hand of the Egyptians, and to bring them up out of that land unto a good land, and a large land, unto a land flowing with milk and honey. Come now therefore, and I will send you unto Pharaoh, and you shall bring forth My People The Children of Israel out of Egypt. And you shall go to Pharaoh and say to him, Thus saith The LORD GOD of Israel, Let My People Go that they may serve Me. And I am sure that the King of Egypt will not let you go unless he is forced by a mighty hand. And I will stretch out My Hand and strike Egypt with all my wonders which I will do in the midst of it, and after that he will let you go. And Pharaoh said to Moses, “Who is The LORD that I should obey His Voice to let Israel go? I know not The LORD, neither will I let Israel go.” Exodus 5.2. And GOD sent plagues, one by one upon the Egyptians. The waters turned to blood, frogs filled the land, the dust became lice, swarms of flies covered the land, the Egyptian cattle died, boils and blains broke out upon the Egyptians and their farm animals. And The LORD sent thunder and hail, and fire ran along upon the ground, locusts covered the face of the land, and GOD brought forth darkness over the land of Egypt for three days that could be felt. And finally the tenth plague, death to all the firstborn Egyptians. From the firstborn of Pharaoh that sat upon his throne, even unto the firstborn Egyptians, even unto the firstborn of the maidservant, and all the firstborn of the beasts died. And not one plague came near The Children of Israel. And The LORD said to Moses, On the 10th day of this month, each man is to take a lamb for his family. The lamb shall be perfect, without defect, a male in its first year. You are to keep it until the 14th day of the month, and then the entire Assembly of The Congregation of Israel shall kill it in the evening. Then they are to take of the lamb’s blood and put it on the two sides and the top of the door posts at the entrance of the house where they eat the lamb. And that night they are to eat the meat roasted in the fire. They are to eat it with matzah and maror, bitter herbs. Eat it in haste. It is The LORD’S Passover. For that night, I will pass through the land of Egypt. I am The LORD. And the blood shall be for you a miracle upon the houses where you are, and when I see the blood, I will Passover you, and the plague shall not be upon you to destroy you when I destroy the land of Egypt. Everybody, take a small piece of matzah and spread some horseradish on it. But before eating, let’s say the blessing. Barukh Atah Adonai Elohaynu Melekh ha olam ha motzi lekhem min ha aretz. Blessed art Thou O Lord our God, King of the universe Who brings forth bread from the earth. All eat. And as slaves in Egypt, The Children of Israel labored to make treasure cities for Pharaoh. But the officers of The Children of Israel were beaten continuously by Pharaoh’s taskmasters doing evil to The People of GOD. Thus we remember their labors in a mixture called kharoset that is made from chopped apples, honey, nuts, and wine, or grape juice. So let us once again scoop some bitter herbs (horseradish) on a small piece of matzah, but also spread some kharoset on the matzah. We eat the bitter herbs and the kharoset to remind ourselves that even the most bitter of circumstances can be sweetened by the hope we have in The LORD our GOD. All eat. The New Covenant describes Messiah Yeshua’s last Passover Seder. It took place in a guest room with His twelve Disciples in Jerusalem in an upper room already furnished. And there they prepared The Passover Seder. Christianity refers to The Passover Seder as The Last Supper. And when the time came, Messiah sat down with His Disciples, and He said to them, With desire I have desired to celebrate this Seder with you before I die. For I say unto you, I will not celebrate it again until it is fulfilled in The Kingdom of GOD. That is, at His return to the Messianic Kingdom, the future one thousand year Millennium in Israel, (Zechariah 14). And He took the cup and gave thanks and said, Take this and share it among yourselves, for I say unto you, I will not drink of the fruit of the vine until The Kingdom of GOD shall come. That is, when we shall be with our GOD and Messiah Face to face in Israel, The Kingdom of GOD. And He took the matzah and gave thanks, and broke it, and gave it to them saying, This is My body which is given for you. This do in remembrance of Me. Likewise also the cup after supper, Messiah said, This cup is The New Covenant established by My Blood which is shed for you for the forgiveness of sins. Not only was Messiah Yeshua to be killed as Atonement for our sins, (Numbers 15.29-31, 1 John 3.4), according to Biblical Prophecy in Tnach, The Holy Scriptures (Isaiah 53, etc.) Messiah had to be killed as prophesied in Exodus 12.6, on the first day of Passover, the fourteenth day of the Hebrew month Nisan. And Messiah was killed on the first day of Passover, the fourteenth day of the Hebrew month Nisan. The LORD had said to Moses, “Whosoever has sinned against Me, him will I blot out of My Book.” That is The Book of Life, Exodus 32.33. Thus it is necessary for everyone to have his or her sins forgiven to remain in GOD’S Book of Life. And that can only be accomplished today by believing in The Jewish Messiah Yeshua, GOD’S New Covenant for the forgiveness of sins as it is written in Jeremiah 31.31-34, and by Walking In The Ways of The LORD our GOD, Keeping GOD’S Laws and His Commandments that are written in Torah, The Law of Moses. Messiah Yeshua is our Lamb of GOD, Who like the Lamb of GOD in Egypt, shed HIS blood to save us from death, even eternal death. And it is Messiah Yeshua Who keeps us in GOD’S Book of Life, giving us the gift of Eternal Life in Heaven with Him, (Daniel 12.2). Let us fill our cup as Yeshua did and His Disciples with Him, before the meal, and let us give thanks. Barukh Atah Adonai Elohaynu Melekh ha olam borey pre ha gafen. Blessed art Thou O LORD our GOD, King of the universe Who creates the fruit of the vine. All drink. Break off a piece of matzah for everybody. Blessed art Thou O LORD our GOD, King of the universe Who brings forth the bread from the earth. All eat. THE PASSOVER MEAL IS NOW SERVED. And after supper, Yeshua The Messiah said, This cup is The New Covenant established in My blood shed for you. Everyone fill their cup again. He is our Atonement for our sins, the Way to Eternal Life in Heaven. The Way to remain in GOD’S Book of Life. And that concludes our Passover Seder. And as Yeshua and HIS Disciples sang a hymn after the meal, all are welcome to sing Dai’ay’nu with us. DO YOU SINCERELY WANT TO BE A PART OF GOD’S CHOSEN PEOPLE? HOLY, SPECIAL AND LOVED BY GOD? Our Teaching will continue from Torah, The Law of Moses from Deuteronomy 7.6-10. AND THE TITLE OF OUR MESSAGE IS, DO YOU SINCERELY WANT TO BE PART OF GOD’S CHOSEN PEOPLE? HOLY, SPECIAL AND LOVED BY GOD? So with that said, let’s read Deuteronomy 7.6-10. As you know, The LORD GOD is speaking to The Children of Israel in these verses who today are The Jewish People. So how did The Jewish People come to be named Jewish People or Jews? 4,000 years ago The Jewish People were called Hebrews. When The LORD GOD spoke to Moses Face to face and had Moses record the history of the world that GOD explained to him starting with “In the beginning GOD Created The Heavens and the Earth,” GOD called Abram a Hebrew. As you well know, GOD changed Abram’s name to Abraham. And GOD referred to Himself as THE LORD GOD OF THE HEBREWS. Hebrew in Hebrew is EEV’REE that comes from The Hebrew Word AY’VEHR meaning THE OTHER SIDE. After King Solomon died, Israel was divided into two Kingdoms during the reign of Solomon’s son Rehoboam. The Kingdom of Israel to the north, and The Kingdom of Judah to the south. The Kingdom of Judah consisted of two Tribes, The Tribe of Judah and The Tribe of Benjamin. The Kingdom of Israel to the north consisted of the other ten tribes. The Hebrew Word YEH’HUDI meaning Jew was originally a tribal definition for a member of The Tribe of Judah. The Kingdom of Assyria stretched from Egypt to the border of today’s Iran. In 586 B.C.E/B.C. THE LORD GOD OF ISRAEL exiled The People of The southern Kingdom of Judah to Babylon because they also sinned against THE LORD THEIR GOD by walking after the abominations of the heathen. After The Children of Israel returned to Jerusalem from the exiles in 516 B.C.E/B.C., they came to be called by The Hebrew Name Yeh’hudi meaning Jewish or Jew, or Yeh’hu’deem meaning Jews. 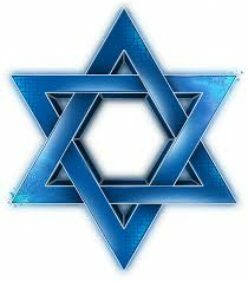 The word Jewish or Jew became synonymous with the descendants of Abraham, Isaac, and Jacob, from which the word Judaism was derived to designate the faith of The Jewish People. YEH’HUDI MEANING JEW OR JEWISH MEANS PRAISER OF THE LORD GOD. THEREFORE JEW MEANS PRAISER OF THE LORD GOD. And The Bible spends extensive time describing the history of the Jewish People because GOD Created and Chose the Jewish People for an extraordinary purpose. The Jewish People have their beginnings in Abraham, Isaac, Jacob, and Jacob’s twelve sons, the fathers of the twelve tribes of Israel. And through Prophesies and Miracles of GOD, The LORD brought the family of Jacob, GOD’S chosen People from Canaan down to Egypt to make them a great nation. After 400 years of slavery under the hands of the Egyptians, GOD brought His People out of Egypt to their own land which is today called The Land of Israel. Today’s Israel is but a small portion of GOD’S Israel that stretches from a River in Egypt to the Euphrates River that flows through Syria and Iraq. And on the way to The Promised Land after GOD redeemed His People out of Egypt, and even before they entered Canaan, GOD gave Israel His Laws, Teachings and Instructions for His Chosen People to live by, called The Law of Moses, or in Judaism, The Torah. GOD requires all mankind to live their lives according to the very same Laws, Teachings and Instructions that GOD gave to Israel and taught them on the road from Egypt to Canaan. It’s an open secret that GOD requires all mankind, Jewish and Gentile to live by every Word that Proceeds out of The Mouth of GOD that is Written in The Bible from Genesis through Revelation. Some 1400 years after the exodus from Egypt to the Promised Land, THE GOD OF CREATION MADE HIMSELF A JEWISH MAN IN ISRAEL IN THE PERSON OF MESSIAH YESHUA WHOM THE WORLD KNOWS AS JESUS CHRIST, WHO WAS BORN FROM A JEWISH VIRGIN MIRIAM THAT THE WORLD CALLS MARY. BUT JUST ABOUT EVERY GENTILE THROUGHOUT THE WORLD REJECTS GOD’S LAWS, TEACHINGS AND INSTRUCTIONS CALLED THE LAW OF MOSES THAT IS WRITTEN IN THE BIBLE IN GENESIS, EXODUS, LEVITICUS, NUMBERS, AND DEUTERONOMY. AND THEY HAVE REPLACED GOD’S WORD WITH THEIR OWN MAN MADE LAWS, TEACHINGS AND INSTRUCTIONS. WHILE THE MAJORITY OF THE JEWISH PEOPLE REJECT ATONEMENT IN THEIR JEWISH MESSIAH YESHUA WHO IS GOD ALMIGHTY, HA SHEM ELOHIM, AND REPLACED GOD’S ATONEMENT WITH THEIR OWN MAN MADE LAWS FOR ATONEMENT. And that’s where we are today and most likely will remain that way until THE JEWISH MESSIAH YESHUA, GOD ALMIGHTY Returns to set up His Messianic Kingdom in Israel from a river in Egypt to the Euphrates. And GOD’S Chosen People will inherit GOD’S Messianic Kingdom in Israel that will be like The Garden of Eden for 1,000 years. And after the 1,000 years, GOD will bring His Chosen People into Heaven for Eternity where our Home will be forever and ever. And at the end of the 1,000 year Messianic Kingdom in Israel, GOD will cause the earth to flee away and vanish forever. THEREFORE THE TITLE OF THIS STUDY IS, DO YOU SINCERELY WANT TO BE PART OF GOD’S CHOSEN PEOPLE? HOLY, SPECIAL AND LOVED BY GOD? I SHOULD ADD TO THAT, WOULD YOU SINCERELY LIKE TO INHERIT ETERNITY IN HEAVEN FOR YOUR ETERNAL HOME WHERE GOD’S HOME WILL BE WITH US, AND GOD WILL DWELL WITH US. AND WE WILL BE HIS PEOPLE, AND GOD WILL BE WITH US, AND BE OUR GOD. THEREFORE GOD TELLS US IN THESE FEW VERSES IN DEUTERONOMY 7.6-10 WHAT HE REQUIRES FROM ALL PEOPLES TO BE PART OF GOD’S CHOSEN PEOPLE, EVEN IF YOU ARE NOT JEWISH, AND ALSO IF YOU ARE JEWISH. DEUTERONOMY 7.6 GOD is speaking through His Prophet and Servant Moses saying to The Children of Israel, FOR YOU ARE A HOLY PEOPLE UNTO THE LORD YOUR GOD. THE LORD YOUR GOD HAS CHOSEN YOU TO BE A SPECIAL PEOPLE UNTO HIMSELF ABOVE ALL PEOPLE THAT ARE UPON THE FACE OF THE EARTH. DEUTERONOMY 7.7 And The LORD tells The Jewish People that He did not set His Love upon us, nor choose us because we were more in number than any people. For we were the fewest of all people. Maybe there were three million Jewish People when GOD spoke these words to The Children of Israel in the wilderness before they entered the land of Canaan to possess it. Today, there are slightly over 14 million Jewish People in a world of seven billion people. DEUTERONOMY 7.8 GOD tells the world the reason He Chose The Jewish People. Because The LORD loves The Jewish People. And because He would keep the Oath that He had sworn to their fathers, Abraham, Isaac, and Jacob, that The LORD brought The Jewish People out of Egypt with a Mighty Hand and Redeemed His People out of the house of slavery. NOTE VERY CAREFULLY THAT GOD DID NOT CHOOSE A MAN TO BE THE FATHER OF HIS JEWISH PEOPLE WHO REJECTED GOD’S LAWS AND INSTRUCTIONS. BUT GOD CHOSE ABRAHAM, A MAN WHO OBEYED GOD’S VOICE, AND KEPT HIS CHARGE, HIS COMMANDMENTS, HIS STATUTES AND HIS LAWS. AND BECAUSE GOD WOULD KEEP THE OATH THAT HE MADE WITH THE JEWISH FATHERS, ABRAHAM, EVEN WHEN ABRAHAM WAS CHILDLESS, AND ISAAC AND JACOB THAT THE LORD TOOK HIS PEOPLE OUT OF 400 YEARS OF EGYPTIAN SLAVERY AND REDEEMED THEM. REDEEMED comes from the Hebrew Word PAHDAH meaning, that GOD PRESERVED HIS JEWISH PEOPLE, DELIVERED HIS JEWISH PEOPLE, AND RESCUED HIS JEWISH PEOPLE FROM 400 YEARS OF EGYPTIAN SLAVERY. DEUTERONOMY 7.9 HERE IS THE SIMPLE REQUIREMENT TO EVERYONE WHO SINCERELY WANTS TO BE PART OF GOD’S CHOSEN PEOPLE, RECEIVING ALL GOD’S BLESSINGS AND PROMISES, AND THE PROMISE OF ETERNAL LIFE IN HEAVEN. 1/ RECOGNIZE THAT GOD IS GOD. KNOW THEREFORE THAT THE LORD YOUR GOD HE IS GOD, THE ONE AND ONLY GOD. AND RECOGNIZE THAT THE TRINITY IS FICTION. THAT THE TRINITY IS THE BELIEF IN MORE THAN ONE GOD OR MANY gods. 2/ THAT GOD KEEPS COVENANT AND MERCY WITH THEM WHO LOVE HIM AND KEEP HIS COMMANDMENTS TO A THOUSAND GENERATIONS. THAT IS FOREVER. THESE ARE GOD’S CHOSEN PEOPLE WHO KNOW THAT GOD IS GOD, THE ONE AND ONLY GOD. THESE ARE GOD’S CHOSEN PEOPLE WHO LOVE HIM AND OBEY HIM, AND KEEP HIS COMMANDMENTS, HIS LAWS, HIS TEACHINGS AND INSTRUCTIONS THAT ARE WRITTEN IN THE LAW OF MOSES. AND LIVE BY EVERY WORD GOD SPEAKS IN THE BIBLE. AND HAVE FAITH IN THE JEWISH MESSIAH FOR ATONEMENT. DEUTERONOMY 7.10 BUT GOD REPAYS THEM THAT HATE HIM TO THEIR FACE TO DESTROY THEM. HATING GOD IS REJECTING HIS WORD THAT IS WRITTEN IN THE BIBLE. NOT OBEYING HIS TORAH, THE LAW OF MOSES. HOWEVER, THE HOLY ONE OF ISRAEL BLESSES THOSE GENTILES WHO BLESS HIS JEWISH PEOPLE AND THE STATE OF ISRAEL. THEY TOO WILL BECOME PART OF GOD’S CHOSEN PEOPLE. Posted on February 11, 2018 February 11, 2018 Categories UncategorizedLeave a comment on DO YOU SINCERELY WANT TO BE A PART OF GOD’S CHOSEN PEOPLE? HOLY, SPECIAL AND LOVED BY GOD? FOR YOU ARE A HOLY PEOPLE UNTO THE LORD YOUR GOD. Our Study will continue from Torah, The Law of Moses from Deuteronomy 7.1-6. AND THE TITLE OF OUR MESSAGE IS, FOR YOU ARE A HOLY PEOPLE UNTO THE LORD YOUR GOD. And with that said, Let’s read Deuteronomy 7.1-6. DEUTERONOMY 7.1 This historic event of The LORD GOD bringing The Children of Israel into the land of Canaan 3,400 years ago to possess it and drive out seven nations greater and mightier than them, was to become a battle of different faiths. The faith of The Children of Israel is in The GOD of Creation. While the Canaanites put their faith in false gods. The Children of Israel, today known as The Jewish People were and always will be under GOD’S Laws that are Written in Torah, The Law of Moses. The Canaanite nations were under none of GOD’S Laws. They were under their own man made laws. Two different faiths. DEUTERONOMY 9.4-5 WICKEDNESS in Hebrew is RE’SHAH meaning, WRONG, because the Canaanite nations did everything Wrong by not living according to GOD’S Laws. Rather they served their Canaanite gods. WICKEDNESS also means INIQUITY, SIN, and FAULT. DEUTERONOMY 12.31 Because The Canaanite nations did not follow The Laws and Teachings of GOD, they did every abomination to The LORD that GOD hates. Even burning their sons and their daughters in fire to their gods. WHEN PEOPLE DO NOT WALK WITH GOD ALMIGHTY, NOT LIVING BY HIS LAWS AND TEACHINGS WRITTEN IN THE BIBLE, THEY DISOBEY GOD AND OFTEN DO THE THINGS THAT GOD HATES. MUCH OF THE WORLD TODAY HAS THAT PROBLEM. THEY DON’T WALK WITH GOD NOR DO THEY LIVE BY HIS LAWS AND TEACHINGS THAT ARE WRITTEN IN THE BIBLE. JOHN 1.9 THE TRUE LIGHT IS GOD ALMIGHTY. GENESIS 2.7 THE BREATH OF LIFE IS THE SPIRIT OF GOD WHO LIVES IN EVERY HUMAN BEING. JOB 32.8 THE INSPIRATION OF THE ALMIGHTY IS THAT GOD INFLUENCES UNDERSTANDING IN ALL HUMAN BEINGS. AND FROM THAT BIBLICAL TEACHING THAT THE SPIRIT OF GOD IN MAN GIVES THEM UNDERSTANDING, ALL PEOPLE KNOW OF GOD. THE INSPIRATION OF THE ALMIGHTY REVEALS TO EVERY HUMAN BEING THAT THERE IS ONLY ONE GOD. GENESIS 2.2 AND ON THE SEVENTH DAY GOD ENDED HIS WORK WHICH HE HAD MADE, AND HE RESTED ON THE SEVENTH DAY. HIS AND HE ARE ONE. ONE GOD. “HIS WORK” IN HEBREW IS M’LAKH’TOE. “WHICH HE HAD MADE” IN HEBREW IS AH’SHERE AH’SAH. “AND HE RESTED” IN HEBREW IS VAH’YEESH’BOTE. EVEN BEFORE THERE WERE HUMANS ON EARTH, GOD TAUGHT THAT HE IS GOD, THE ONLY GOD. VERY EARLY AFTER THE CREATION, EVEN BEFORE GOD CREATED THE JEWISH PEOPLE, GOD BEGAN TO INTRODUCE SOME OF HIS LAWS TO HUMANITY. GENESIS 4.4 Firstlings are firstborn animals. Flock in Hebrew is TS’ONE meaning Sheep, Goats, Lambs, and Cattle. Animals that are clean and may be eaten according to GOD’S Food Laws. The Bible speaks of the abominations of the Canaanite nations, and why GOD dispossessed them and brought The Children of Israel into their land. DEUTERONOMY 7.2-5 Tough Words from THE GOD OF CREATION against the Canaanite nations who did abominable works against GOD. Kill them and utterly destroy them, GOD said. Make no covenant or union with them. Show no mercy to them. Make no marriages with them for they will turn your children away from following Me, to serve other gods. Then the anger of The LORD will be kindled against you, and destroy you suddenly. GOD told His People how to deal with the Canaanite nations. Destroy their altars, and break down their images, and cut down their groves, and burn their graven images with fire. I don’t know if people understand, even most teachers of The Bible don’t understand the mistake they make when they eliminate GOD’S Law of Moses that is written in the first five books of The Bible. Early in my walk with The LORD, I often heard that GOD will one day destroy this earth, and burn it up and make it vanish away. And I thought, Why will GOD destroy the earth? I thought, Maybe because not everyone believes in Jesus. Then I looked around, here in America, in Europe, Central and South america, and all the countries that have overwhelming belief in Jesus Christ. But yet there was chaos all over the place. Listening to Christian radio, watching the Preachers on TV preaching Jesus, and the love of Jesus, but never, ever any conditions to receive His Love. Just believe in Jesus, they say, and you’re going to Heaven and you will be prosperous and have great success. But never any conditions. Just believe in Jesus. And I looked around and still saw the chaos throughout the Jesus believing world. So I kept searching The Bible to find out Why GOD will destroy the earth and so many people with it. And when you seriously search The Bible for answers, you will find those answers. And usually not the answers you hear on radio or TV. GOD WILL DESTROY THIS EARTH AND THE SINNERS ON IT BECAUSE OF THEIR SIN, THEIR EVIL, THEIR WICKEDNESS, AND THEIR INIQUITY. SIN, EVIL, WICKEDNESS AND INIQUITY ARE ALL ONE AND THE SAME. DISOBEYING GOD. NOT OBEYING WHAT THE LORD SAYS IN THE BIBLE, BUT PROVOKING HIM TO ANGER. AND THE PROUD KNOW OF GOD AND HIS POWER BUT CHOOSE TO DISOBEY GOD AND REBEL AGAINST HIM. BUT LISTEN, GOD BLESSES THOSE MIGHTILY WHO OBEY GOD, WHO OBEY EVERY WORD GOD SPEAKS IN THE BIBLE, AND THAT INCLUDES HIS TORAH, HIS LAW OF MOSES. EPHESIANS 4.24 RIGHTEOUSNESS AND HOLINESS IS OBEDIENCE TO GOD, HIS WORD THAT INCLUDES HIS LAW OF MOSES. REVELATION 22.14 (KJV) BLESSED ARE THEY WHO DO HIS COMMANDMENTS, THAT THEY MAY HAVE RIGHT TO THE TREE OF LIFE, AND MAY ENTER IN THROUGH THE GATES INTO THE CITY. DEUTERONOMY 7.6 GOD DOES NOT WANT HIS PEOPLE TO EVER BE INVOLVED WITH GODLESSNESS THAT PRODUCES ABOMINATIONS. FOR YOU ARE A HOLY PEOPLE UNTO THE LORD YOUR GOD. THE LORD YOUR GOD HAS CHOSEN YOU TO BE A SPECIAL PEOPLE UNTO HIMSELF ABOVE ALL PEOPLE THAT ARE UPON THE FACE OF THE EARTH. YOU DO NOT HAVE TO BE JEWISH TO BE FULLY PART OF GOD’S CHOSEN PEOPLE. BUT TO BE FULLY PART OF GOD’S CHOSEN PEOPLE YOU MUST LEARN HIS TORAH, HIS LAW OF MOSES, AND DO IT, ALONG WITH YOUR FAITH IN MESSIAH YESHUA. ADD TO THAT MESSIAH’S WORDS; BEWARE OF FALSE PROPHETS WHICH COME TO YOU IN SHEEP’S CLOTHING, BUT INWARDLY THEY ARE RAVENING WOLVES. YOU SHALL KNOW THEM BY THEIR FRUITS. FOR YOU ARE A HOLY PEOPLE UNTO THE LORD YOUR GOD. THE LORD YOUR GOD HAS CHOSEN YOU TO BE A SPECIAL PEOPLE UNTO HIMSELF ABOVE ALL THE PEOPLE THAT ARE UPON THE FACE OF THE EARTH. If you do what GOD says. Posted on February 4, 2018 Categories UncategorizedLeave a comment on FOR YOU ARE A HOLY PEOPLE UNTO THE LORD YOUR GOD. MOSES CONTINUES HIS TEACHINGS OF GOD TO THE CHILDREN OF ISRAEL, THE JEWISH PEOPLE. Our teaching from Torah, The Law of Moses will continue from Deuteronomy 4.21-31. AND THE TITLE OF OUR MESSAGE IS, MOSES CONTINUES HIS TEACHINGS OF GOD TO THE CHILDREN OF ISRAEL, THE JEWISH PEOPLE. DEUTERONOMY 4.21-22 The Children of Israel were camped just outside the borders of Canaan. But at the time of this writing of The Book of Deuteronomy some 3,400 years ago, Israel was camped in the plains of Moab, current-day Jordan at the border of Canaan. The forty year Exodus from slavery in Egypt to The Promised Land was coming to an end, and The Jewish People were poised to enter the land of Canaan that GOD renamed Eretz Yisrael, The Land of Israel. And Moses told The Children of Israel, some three million strong, that GOD was angry with him because of them. GOD would cause Moses to die for his sin against The LORD, even before The Children of Israel crossed The Jordan River into The Promised Land that we know today as The Land of Israel. After nearly forty years of journeying in the wilderness during the Exodus from Egypt to Canaan, some three million Jewish People along with a mixed multitude of non-Jewish People from Egypt came to a place in the desert called the Desert of Zin. A huge desert in the Sinai. And Miriam, the sister of Moses and Aaron died there in a place called Kadesh. And she was buried there. And there was no water for the Congregation of Israel. So they did that which was wrong. They blamed Moses and Aaron for the lack of water. There was no water to drink, and no food to eat. So they blamed Moses and complained that they preferred Egypt rather than this desert place. And many of the people said that they preferred death rather than living in this wilderness. So Moses and Aaron did the only thing they could do, and should do. They went to The LORD. They went to The Door of The Tabernacle and fell on their faces, and THE GLORY OF THE LORD Appeared to them. THE GLORY OF THE LORD in Hebrew is KAH’VODE YEH’HOVAH. THE GLORY OF THE LORD is The SH’KHEE’NAH. The Majestic, Spiritual Appearance of GOD. His Glorious Majesty and Spiritual Splendor Appeared to Moses and Aaron and the entire Congregation of The Children of Israel. There was no Shape or Likeness but The Magnificent Spiritual Appearance of GOD ALMIGHTY, THE CREATOR OF HEAVEN AND EARTH speaking from His GLORY, speaking to Moses. And The LORD said to Moses, Take your rod and gather The Congregation together, you and Aaron your brother and speak to the rock before their eyes. And it will give its water. And you will bring forth water to them out of the rock. So you will give water to The Congregation and their animals to drink. Remember, there were some three million people, and their animals. So Moses and Aaron gathered The Congregation together before the rock, and Moses said to them, and here is Moses’ first sin and mistake, not doing what GOD told him to do. Moses said to The People, Hear now you rebels. Now this Word REBELS in Hebrew that Moses used, is MAH’REEM meaning Bitter, Disobedient, Unpleasant, and Rebels (Those who opposed and provoked GOD). And Moses was so angry and upset with The People that he disobeyed GOD by saying to them, SHALL WE BRING YOU WATER OUT OF THE ROCK? Moses in his great anger made an uncalled for remark knowing there is only One Who can bring forth water from a rock, and that is GOD ALMIGHTY. And then Moses committed another sin against GOD. GOD told him to speak to the rock before the eyes of Israel, and the rock will bring forth water for them. BUT MOSES INSTEAD OF SPEAKING TO THE ROCK, SLAMMED THE ROCK TWICE WITH HIS ROD, and The Bible says, Water came out abundantly, and The Congregation and their animals drank. So The LORD spoke to Moses and Aaron, and said, Because you did not Believe Me to Sanctify Me in the eyes of The Children of Israel, therefore you will not bring This Congregation into The Land which I have given them. NOT BELIEVING GOD IS WHEN YOU READ IN THE BIBLE GOD’S SPOKEN WORD FROM HIS LIPS OR FROM ONE OF HIS PROPHETS, AND YOU DO NOT DO WHAT HE SAYS. FOR EXAMPLE, IN THE TEN COMMANDMENTS, GOD SAYS, HE WILL SHOW MERCY TO THOUSANDS OF THEM THAT LOVE ME AND KEEP MY COMMANDMENTS. OR WHEN YESHUA THE MESSIAH/JESUS SAYS THAT HE IS THE FATHER. BUT YOU REJECT HIS WORD AND SAY NO, HE IS NOT THE FATHER. YOU DO NOT BELIEVE GOD. YOU DISOBEY GOD. JOHN 14.9, JOHN 12.45,49, ISAIAH 7.14, HEBREW BIBLE ISAIAH 9.5, CHRISTIAN BIBLE ISAIAH 9.6, DEUTERONOMY 6.4, MARK 12.29, ETC. NOT BELIEVING GOD MEANS YOU DO NOT BELIEVE GOD. INSTEAD YOU OPPOSE GOD AND DISOBEY HIM. By not Sanctifying GOD, not revering GOD and Respecting Him, Moses did not esteem THE LORD GOD OF ISRAEL as HOLY. Nor did Moses Believe GOD, The LORD said. And for that sin, GOD did not allow Moses and Aaron to enter The Promised Land with The Children of Israel. They died as GOD said, even before The People entered the Land of Canaan. These waters were called Merivah meaning Quarrel, Provocation and Strife because The Children of Israel Strove with The LORD. NOT SANCTIFYING GOD, THAT IS, NOT REVERING GOD OR RESPECTING HIM, NOT HONORING HIS HOLINESS, AND NOT BELIEVING GOD RESULTS IN DISOBEDIENCE TO GOD. AND MOSES DISOBEYED GOD AND PAID DEARLY FOR HIS SIN. DEUTERONOMY 4.23-24 Continuing with Moses’ teaching to The Children of Israel, Moses said to them, Take heed to yourselves. That is, Be on guard for yourselves lest you forget THE COVENANT OF THE LORD YOUR GOD which He made with you, and you make a graven image or the likeness of anything which The LORD your GOD has forbidden you. For The LORD YOUR GOD is a Consuming Fire, even a Jealous GOD. AS YOU WELL KNOW, THE COVENANT OF GOD IS HIS WORD WHICH HE HAS COMMANDED FOREVER AS LAW. THAT IS GOD’S EVERLASTING COVENANT. The Writer of Hebrews also teaches that GOD is a Consuming Fire, in HEBREWS 12.28-29. We receive GOD acceptably, being worthy when we Believe GOD, and Obey and Do every Word GOD Speaks in The Bible. That is GOD’S Law forever. And that includes His Torah, The Law of Moses. For our GOD is a consuming fire. And we Believe in One GOD and no others. That ONE GOD is Messiah Yeshua Who gave His Life for us as a human being to be our Atonement for the forgiveness of our sins. DEUTERONOMY 4.25-28 We Jewish People have been guilty of everything Moses spoke on behalf of The LORD. We corrupted ourselves with graven images, doing evil in the sight of The LORD, provoking Him to anger. And many perished from off The Land of Israel where the days of many were cut short by The LORD because of idolatry. And we were exiled out the Land of Israel for our sins against GOD for Idolatry, and not Believing GOD, and disobeying GOD’S Everlasting Covenant. We were exiled by GOD to Assyria in 722 B.C.E./B.C., and to Babylon in 586 B.C.E./B.C. for our sins against The LORD OUR GOD. And as a result of those exiles along with the exile of 70 C.E./A.D. when GOD scattered His Jewish People throughout the world among the nations where we are left few in number among the Gentiles where The LORD has led us. Some might ask, Why did GOD exile the majority of The Jewish People from Their Homeland, The Land of Israel in 70 C.E./A.D. when the Romans destroyed Jerusalem and The Second Temple where Messiah often taught The Tanach? And when the Romans killed thousands of Jewish People? MESSIAH YESHUA IS GOD ALMIGHTY THE HOLY ONE OF ISRAEL. GOD exiled the Jewish People in 70 C.E./A.D. because, Messiah Yeshua says, we Jewish People did not know the time of Messiah’s visit to live with His Jewish People in Israel. The time of Messiah’s visit and first coming was Prophesied by Gabriel The Archangel some 500 years before Messiah Yeshua’s coming to Israel with The Words that GOD gave The Angel to tell The Prophet Daniel for the Jewish People to know. To know when their Messiah would come. This is the short version of the Prophesy. Because, as Messiah said, The Jewish People did not know the time of My visit to Israel, and so many, not all, rejected Him as GOD and Messiah, GOD exiled many of The Jewish People from their Homeland in Israel in 70 C.E. throughout the world for nearly 2,000 years. So, it is often asked, Why do so many Jewish People reject their MESSIAH YESHUA WHO IS HA SHEM ELOHIM, THE GOD OF ABRAHAM, ISAAC AND JACOB? Because, Messiah said, IF YOU (THE JEWISH PEOPLE) HAD KNOWN, EVEN YOU, AT LEAST IN THIS DAY, THE THINGS WHICH BELONG TO YOUR PEACE. Thus, GOD has hidden the knowledge from the eyes of most Jewish People that Messiah Yeshua is The Messiah. DEUTERONOMY 4.29-31 But, The LORD GOD OF ISRAEL says to His Jewish People, and for that matter, all peoples, If from where you live, in the nations or in Israel, if you shall seek The LORD Your GOD, you shall find Him, if you seek Him with all your heart, and with all your soul. When you are in tribulation, trouble and affliction, and all these things have come upon you, even in the end of days. IF YOU TURN TO THE LORD YOUR GOD, AND SHALL BE OBEDIENT TO HIS VOICE. THAT IS EVERY WORD GOD SPEAKS IN THE BIBLE. FOR THE LORD YOUR GOD IS A MERCIFUL GOD. HE WILL NOT FORSAKE YOU, NEITHER WILL HE DESTROY YOU, NOR FORGET THE COVENANT OF YOUR FATHERS WHICH HE SWORE TO THEM. WHAT IS THAT COVENANT GOD MADE WITH THE JEWISH FATHERS? ALL THAT WILL BE FULFILLED IN THE KINGDOM OF GOD FOR 1,000 YEARS IN ISRAEL, AND FOREVER IN THE KINGDOM OF HEAVEN. Posted on November 5, 2017 November 7, 2017 Categories UncategorizedLeave a comment on MOSES CONTINUES HIS TEACHINGS OF GOD TO THE CHILDREN OF ISRAEL, THE JEWISH PEOPLE.